The Lariat - Who Did It Best? The Lariat is one of the most popular and devastating wrestling moves ever. It’s also one of the most simplistic, consisting of a very hard strike to your opponent’s head, neck or chest with your arm. However, a lot of people confuse the term ‘lariat’ with ‘clothesline’, especially since these are two different moves. A clothesline involves a wrestler sticking their arm out straight and hitting someone with the said extended arm. A lariat is different; the wrestler hitting it bends their arm and throws it, striking with considerably more force than with a standard clothesline. Because of the relatively easy way to set up the move, a lot of wrestlers have used the lariat as either a signature or finishing move. But only a handful of wrestlers became so good at throwing lariats that they’ve become immortalized for doing so. 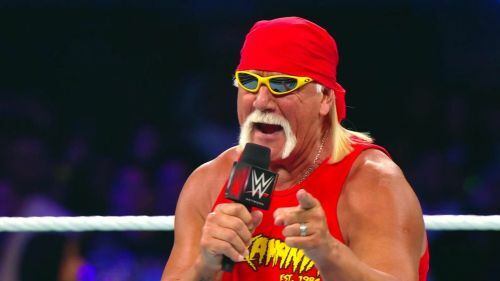 Contrary to popular belief, Hogan could wrestle quite well when he needed to. And when he wrestled in Japan, he really needed to, which is why he traded his weak leg drop for a more believable finisher in the Ax Bomber, which is a crooked-arm lariat. To end his matches, Hogan would swing his arm forward like a regular lariat but said arm would already be crooked instead of straightened out. This allowed Hogan to remain a believable wrestler in Japan, which was a country that appreciated in-ring work much more than the theatrics Hogan was famous for in the United States. Ironically, this move would’ve actually been better for Hogan’s long-term health than the leg drop was. Although the leg drop was much safer for his opponents, it took an immense toll on Hogan’s body (especially his hips, back and spine). No matter how tough you are, jumping and landing hard in a sitting position isn’t good for you. If Hogan used the Ax Bomber as his regular finisher instead of the Leg Drop Of Doom, he wouldn’t’ve had so many back problems in his later years, and he would’ve been taken more seriously by wrestling purists that saw his leg drop as a prime example of wrestling being ‘phony’. The Powerbomb - Who Did It Best? The Brainbuster - Who Did It Best? The Tombstone Piledriver - Who Did It Best? The Chokeslam - Who Did It Best? The Double-Arm DDT - Who Did It Best? The Phoenix Splash - Who Did It Best?